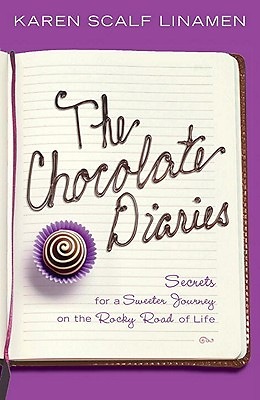 In "The Chocolate Diaries," Karen Linamen dishes up a satisfying blend of moxie and mocha, sharing the stories of dozens of women who reveal savvy strategies for embracing a sweeter life--even while traveling rocky roads. If you're looking for sweet change, then savor the companionship of chocolate-loving friends who have lived where you do and have life-changing insights to share as a result. Funny, transparent, and uplifting, "The Chocolate Diaries" is like taking a road trip with good friends who are wise about life. The road may still be bumpy, but you'll be having too much fun to care.